Freeform Crochet and Knit, Hats, etc. More Freeform/Freestyle Hats with Corkscrews. 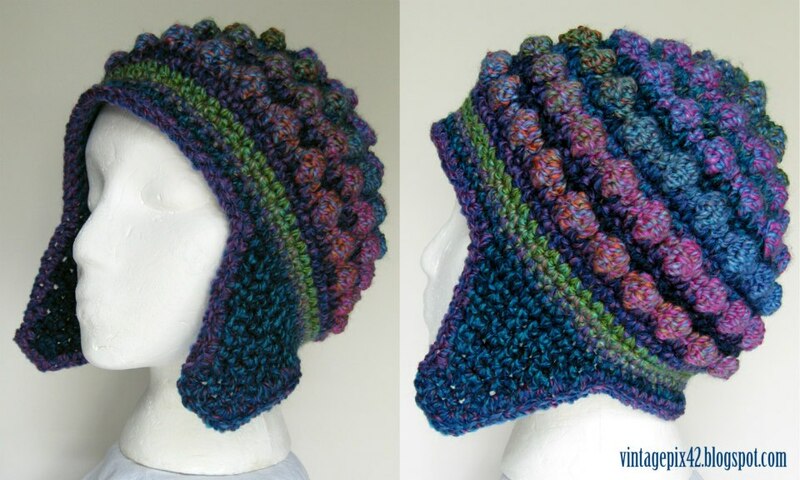 Just started listing new freeform freestyle crochet corkscrew hats and helmet hats on my woolmountain etsy shop. Here are just a few, more to come. Over the last couple of days I have listed some more items: yarn, knit and crochet pattern books, a large button lot, a few large assorted bead lots, and a vintage china button card with 70 china buttons. Check it all out at the woolmountaindestash shop. On another note; another etsy seller, Vintagepix, purchased my Free Form Helmet hat pattern from etsy and made a beautiful hat from the pattern that she is giving to Southeast Wisconsin Alzheimer's Association to auction off. To Google+ or not to Google+...that be the question. Ok, I'm a tad bit lost here. Can anyone comment here as to what the think of Google+. Will it help me get more hits on my blogs? If yes, how will it do that? Is there anything I should be concerned about, ie bugs, problems or Google giving out to much info? Appreciate any direction anyone can offer. More yarns for sale in the Woolmountain Destash Etsy Shop. Now I'm offering free shipping in the USA and flat rate shipping cost to everywhere else. At the Woolmountain Etsy Shop all handmade items have been marked down. As soon as my new items are ready for listing, all the handmade items presently in the shop will be moved out. So take a look to see if there is anything you might be interested in. Keep an eye open here; I'll post when the new items will be listed. Also, all the crochet pdf patterns and the knit One Way Scarf pattern are on immediate download from etsy...so if all goes "right" after you purchase the pattern you should be able to immediately download the pattern and not have to wait for me. If you have any problems with this contact me via etsy and we will solve it. I'm now allowing people who have purchased my patterns the ability to sell the items they make from my patterns. All I request is that you do not sell the pattern itself and you give me credit for the design, ie made by Leslie E. Nelle-Urinyi of Woolmountain Studio and a link to my Woolmountain Etsy Shop.